Is Funding Right For You? Get a police report if bitten by a dog or any animal. Dog bites scar more than a person’s flesh. It scars the mind and emotions. State Farm insurance, in Ohio alone, paid out over $5 million in dog bite claims. And guess what, Ohio was only #4. there were 3 other undisclosed states where the payouts for dog bite claims were even higher. If you or a family member are victim of a dog bite, call the police immediately. There must be a police report taken and then go immediately to your nearest emergency room. 1. The incident should be properly documented for the good of the community. There must be a record made of the biting dog and possible a reprimand or warning to its owner. A police report may also reveal the dog is a repeat offender. Your report may save someone else in the future from becoming a victim. 2. You may have a legal case. Do not take for granted the bite is not severe. You need to take every measure to prevent infection. You may suffer additional pain you don’t realize later and you may also suffer from fear and anxiety in the aftermath of the incident. 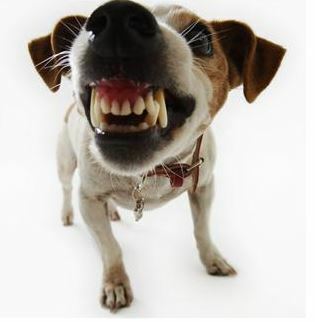 If you were injured by a dog bite or other animal attack, you probably have a good reason to expect a cash settlement from an homeowner’s insurance policy. If so, you probably qualify for lawsuit funding. This means you get a portion of the money you’re getting from the settlement up front. A cash advance. Funding is available without any risk or credit check. the amount of money you can get with a lawsuit funding loan is determined by the merits of your case alone. To find out how much money we can send you, simply fill out the simple 30-Second Application on our website. Pending Motor Vehicle Lawsuit? Need Cash Now? © 2019 Interstate Lawsuit Funding. All rights reserved.